Ely Folk Club takes place in The Old Dispensary, 13 St Mary's Street, Ely, Cambs, CB7 4ER. There is no bar, but you are welcome to bring your own drinks or buy drinks from the pub across the road and bring them with you. 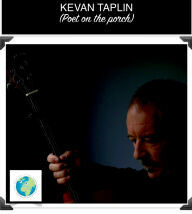 Events at Ely Folk Club start at 8.00pm unless otherwise stated. Concerts take place most months, usually on Wednesday evenings. We also hold occasional extra events. Tickets may be booked in advance by telephoning 01353 740999 or 01353 664706. Admission: £11 in advance or £12 on the door. 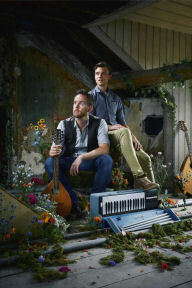 Ninebarrow are a multi-award-winning folk duo, who are impressing audiences across the country with their innovative and captivating take on the folk tradition. Described by Mark Radcliffe as sounding like ‘two halves of one voice’ by Seth Lakeman as 'a fantastic duo' and by Kate Rusby as ‘absolutely amazing’, Jon Whitley and Jay LaBouchardiere combine breathtaking vocal harmonies and melodies, delivering songs that are inspired and rooted in the landscape and history of the British Isles. Most recently, the duo were nominated in the 2017 BBC Radio 2 Folk Awards in the ‘Horizon’ category for Best Emerging Artist; their latest album, ‘The Waters and the Wild’ (released in April 2018) was awarded 5-stars in both The Morning Star and the English Folk Dance and Song Society’s EDS Magazine, and has received airplay on BBC Radios 2, 3, 6 Music, Wales and Scotland. Folk luminary, Mike Harding, has hailed it as ‘absolutely monumental’. 'SimpleFolk' are West Suffolk duo Rachel Dodd and Steve Christopher. They are building quite a reputation across East Anglia with their ‘stripped back’ versions of contemporary and traditional folk songs. 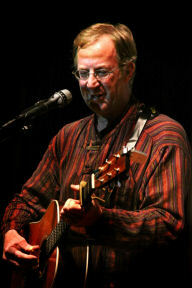 Steve moved up from Hampshire in 2015, where he had been a member of the Romsey-based folk band 'Cuckoo Pint' and a solo performer. He first performed with Rachel when she agreed to join him on stage during a ‘Showcase’ set at Bury’s Milkmaid Folk Club towards the end of 2016. Since then, Rachel and Steve have performed regularly together as SimpleFolk, This has included appearances at Bury Oxjam, FolkEast (representing the Milkmaid), West Norfolk Radio, Sheringham Folk Showcase and the Bury Folk Festival, as well as at folk clubs across the region. They completed their first album, 'From Black to Blue', in March 2018, which brings together a collection of their favourite songs from the current set. Best known for work with BBC Radio 2 Young Folk Award nominees Granny’s Attic, Cohen is a singer and instrumentalist with a love of English music. 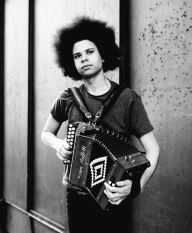 Cohen plays melodeons and anglo concertina as well as being a well-respected singer; in 2014 he won the Bromyard Folk Festival future of young folk award for singing. Expect traditional English folk songs and tunes along with a few original numbers. A transatlantic duo inspired by the traditions of America and Britain. Hickman’s emotive, soaring vocals and driving guitar is complemented by Cassidy’s ingenious and virtuosic fiddling. Their sound flows from the connection between British and American folk and is bursting with all the humour, heartbreak and excitement of these genres. The lively English wit of Hickman is set against Cassidy’s bone-dry irony and American drawl as they take audiences on a dynamic and unforgettable transatlantic journey. Admission: £12 in advance or £13 on the door. Building on the success of her Borrowed Places tour, Miranda Sykes is back with a completely new project: Behind The Wall. Where Borrowed Places opened a window into the past, explaining where she had been, physically and spiritually, Behind The Wall is a Roller Coaster Ride exploring where we are going; Miranda, you, me, all of us. What does it mean to be human today, living in our communities and societies, and where will our actions lead us? Powerful and hard-hitting but also poignant and beautiful, this show gives us all a chance to reflect and maybe even empower us. False Colours are an electro-acoustic folk duo consisting of David on the lesser-seen electric tenor guitar and Polly on the bass (both on vocals with harmonies galore!). Hailing from Sudbury in Suffolk, their music is an original mix of traditional folk style, rough and ready punk/indie and catchy pop. They've only been playing together since April 2018, but are proud to say that they have already succeeded in achieving some of their longer term goals – highlights include being played on BBC Radio, being invited to perform at FolkEast festival (where they also sold out of their pre-release EPs! ), achieving a number one in the Cambridge 105 Radio Unsigned Chart and, of course, recording their first EP. Glymjack is an English folk act led by singer-song-writer Greg McDonald and described as 'Frank Turner meets Show of Hands' and 'as good as contemporary folk comes' by Acoustic. Produced with Show of Hands’ Phil Beer and Steve Knightley, debut album Light the Evening Fire was released to acclaim in 2018, with Froots calling Glymjack 'folk-roots with attitude' and Maverick opining 'virtually every song is a tour de force'. Live, Greg is often joined by fiddle virtuoso Gemma Gayner and bassist Dickon Collinson, delivering a high energy, harmony-rich set of hard-hitting originals, English folk songs and fiddle tunes. Norwich based folk trio Alden Patterson and Dashwood weave rich vocal harmonies, fiddle, dobro and guitar around beautifully written original songs and melodies. Their music takes influence from folk traditions from both sides of the Atlantic with uplifting instrumentals and self-penned songs depicting tales of young travellers, sleepy seas and their affection for home. As a teenager Taplin started by playing washboard on the Folk and Blues circuit where he found himself supporting luminaries such as Sandy Denny, Dave Cousins, Jo Anne Kelly, etc., describing the experience as an excellent grounding for life. At a gig with Liverpool poets Roger McGough and Adrian Henri, they allowed him to put a couple of their poems to music and Taplin was inspired to start writing for himself. He won an Arvon Bursary on the strength of his song lyrics but performed only rarely until he teamed up with Steve ‘Bluesboy’ Bennett, forming the electro-acoustic band FRONT PORCH who play mainly Taplin’s material based around their joint influences of Folk Blues and Americana. Taplin has had two poetry booklets published and had songs taken to Nashville, and requested for the Bomber Command National Archive. He now also gigs as a solo singer-songwriter and has supported artists such as Edwina Hayes, the poet John Hegley, Brooks Williams, etc., and has performed twice for the Poet Laureate. Taplin can be seen regularly at venues and festivals around the East Anglian region. The Trials Of Cato, a band that arrived fully formed and functioning from Beirut in the winter of 2016, have since torn a shape very much their own into the canvas of the UK folk scene. Originally from North Wales and Yorkshire, whilst living in Lebanon they spent a year boiling down the roots of their sound into a hybrid of traditional influences that intrigued Lebanese audiences in the country's biggest venues. They moved back to the UK and spent a tireless year performing up and down the country, leading to BBC Radio 2's Mark Radcliffe hailing them as 'one of the real discoveries on the folk circuit in recent times'. Praised for the diversity of their material and influences, The Trials of Cato live show 'invariably stuns audience wherever they play'. Whether plying their trade busking, performing in front of thousands at festivals across Europe, or frequently selling out their own club shows, The Trials of Cato have the wind behind them. If you experience any problems with the site, please contact us and let us know.